Whether you want to add some subtle decorative pieces, create a breathtaking focal point, or just totally transform your poolscape into a romantic oasis or a fun family water park, Bobco Pools has everything you need to meet your goals. 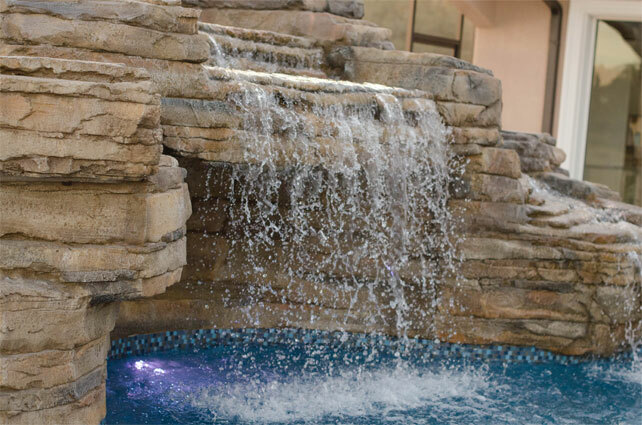 Nothing enhances a pool or spa like the soothing sound and shimmering sight of falling water. The many options available allow you to integrate these spectacular water features in either dramatic or subtle ways that transform any pool environment. Bring your pool to life with the addition of any of these beautiful fountains, fountain accessories, wall accents, illuminating waterfalls with LED lighting and more. Bobco Pools offers the most popular brands when it come to pool and spa water features, including Custom Cascades, Grand Effects, Inter-Fab, Jandy, Oasis, Pentair and more. You can read all about some really cool water features here. These will definitely give you a headstart in planning how to make your pool and backyard really stand out! Call us up and let us help you determine the type of water feature that is right for you. If you have any questions or need any further assistance in selecting a pool or spa water feature, don’t hesitate to contact us as (863) 307-6564.